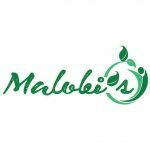 Malobi’s is a new vegan, health conscious fast food joint. Our slogan is ‘healthy, conscious and tasty - No compromise’. We aim to provide a healthy alternative to the fast food that is out there and we specialise in making gourmet burgers along with superfood salads. We also cater to gluten free and nut free clients in order to make the food all inclusive!